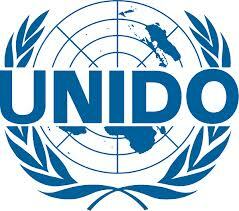 UNIDO Side-Event @Rio+20 – Sustainable Industrial Development: Do We Need a Green Industrial Policy? Industrial policy has made a forceful comeback. The global economic and financial crisis demanded swift action by governments to support and restructure productive activities, and industry in particular, in order to protect employment. At the same time, global challenges such as climate change cannot be addressed without decisive policy changes in industry‐related incentives and regulations. The conditions are ripe for placing industrial policy at the core of the policy agenda for green growth and sustainable development. The side‐event will focus on how to widen the scope of traditional industrial policy to incorporate environmental objectives. It aims at discussing the fundamental sustainability choices in terms of industrial growth, employment generation, social inclusiveness and conservation of the environment. How can industrial policy reconcile growth, employment and sustainability objectives? With climate change as a ‘market failure’, how can public policy get it right? What can developing country governments do to promote the adoption of emerging green technologies and pursue low‐carbon, resource‐efficient growth strategies? What is the role of the business community?